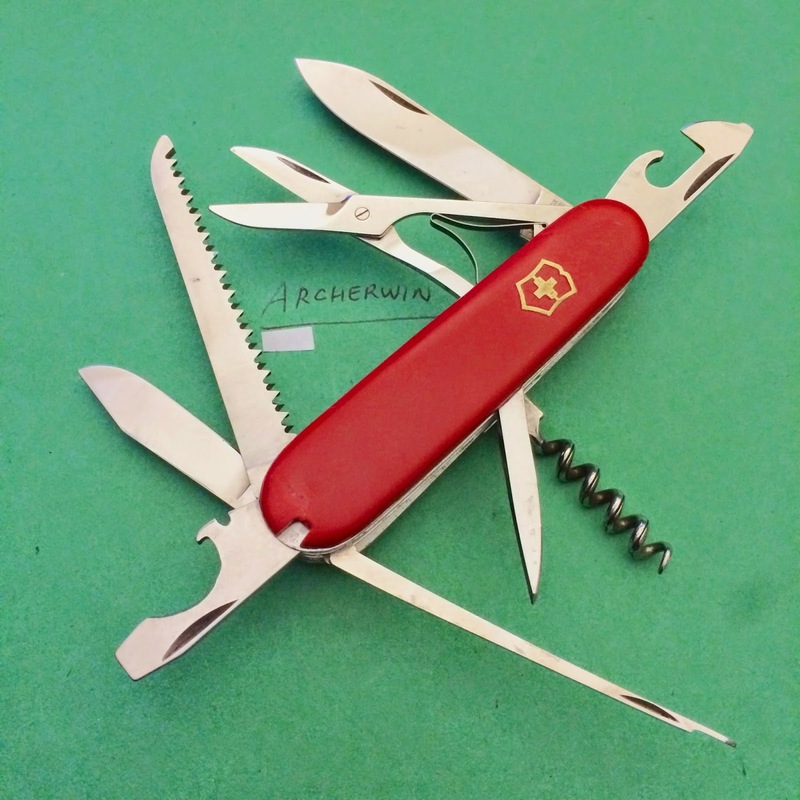 The Victorinox Huntsman is probably one of my favorite SAKS. It's the perfect SAK to bring on camping trips. It has all the tools that you will need for the outdoors. The wood saw is perfect for cutting small dried branches of trees for use as firewood. 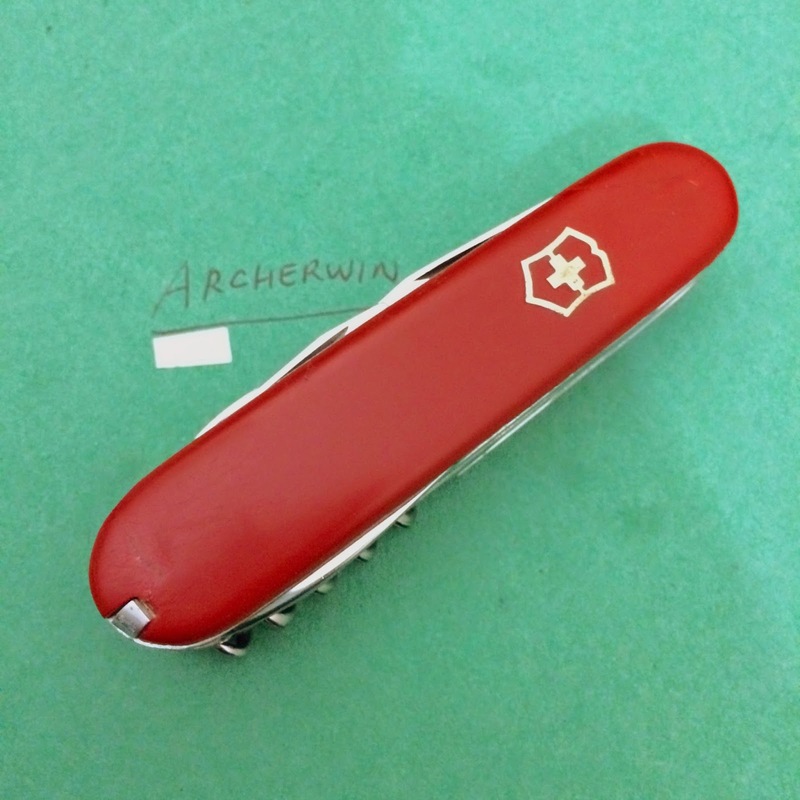 It is one of the early eight original named models released during the 1950's together with the Champion, Master Craftsman, Craftsman, Fisherman, Woodsman, Camper and the Tinker. 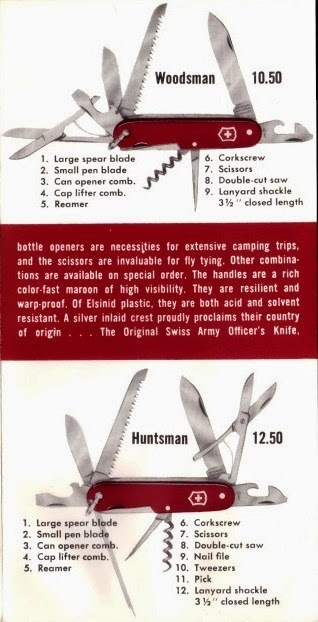 The Huntsman today is actually more similar to the Woodsman model than the Huntsman model from the 1950's. 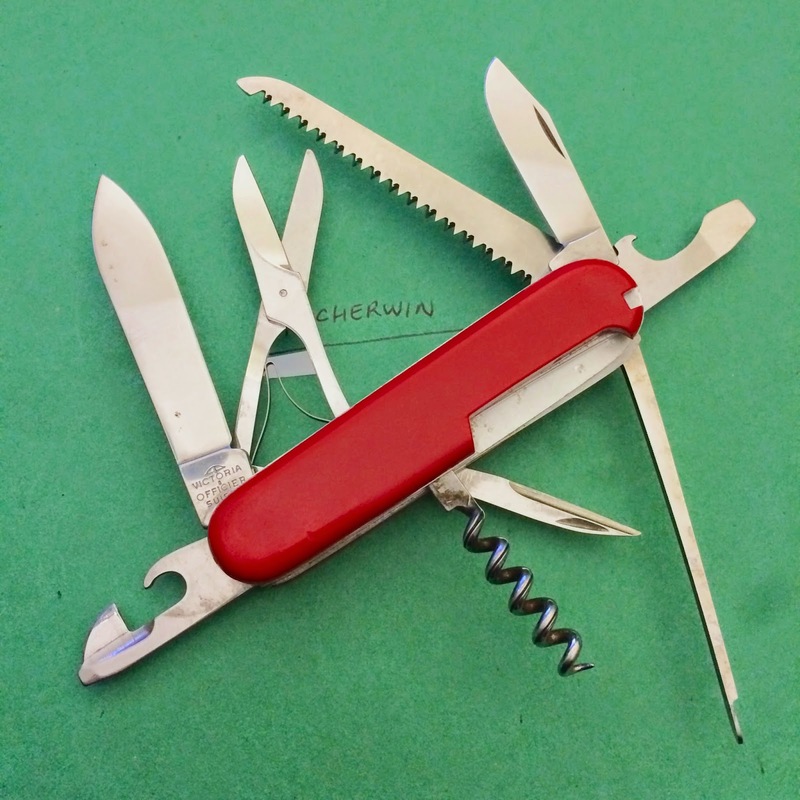 Their toolset is the same except the actual tools themselves have evolved through the years. The main difference is the addition of the Long Nail File (LNF) and the Tweezers and Toothpick on Huntsman. 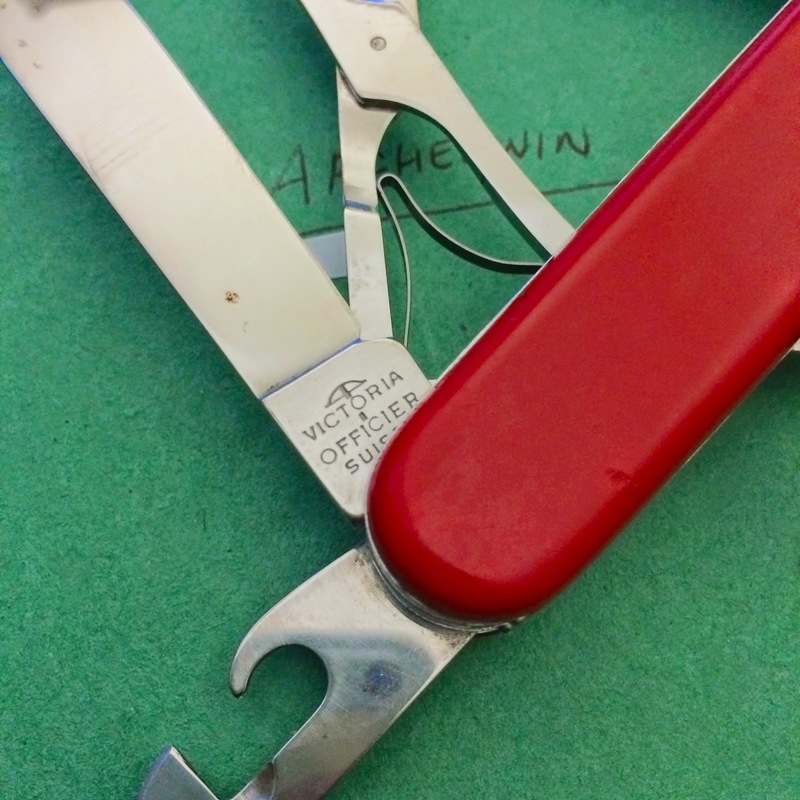 Over the years, the Woodsman was discontinued and the LNF was removed from the Huntsman to get to the current toolset that we are very familiar with. 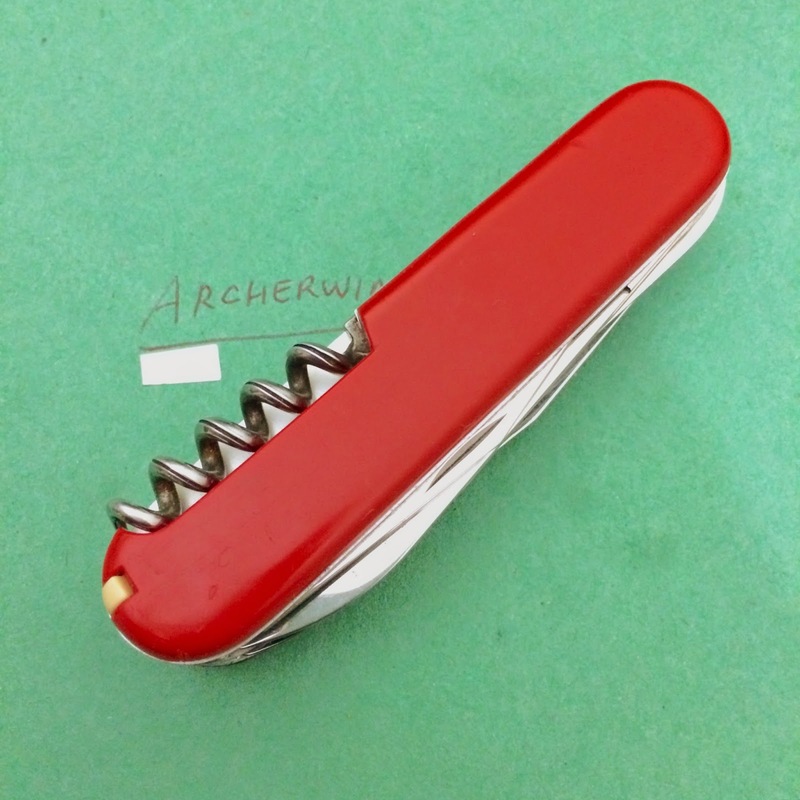 My Huntsman is a pre-1973 model with the small clip point blade, LNF, 5-turn fluted corkscrew and the cap lifter with wire stripper. I'll try to complete all the models representing the major changes in the Huntsman line. 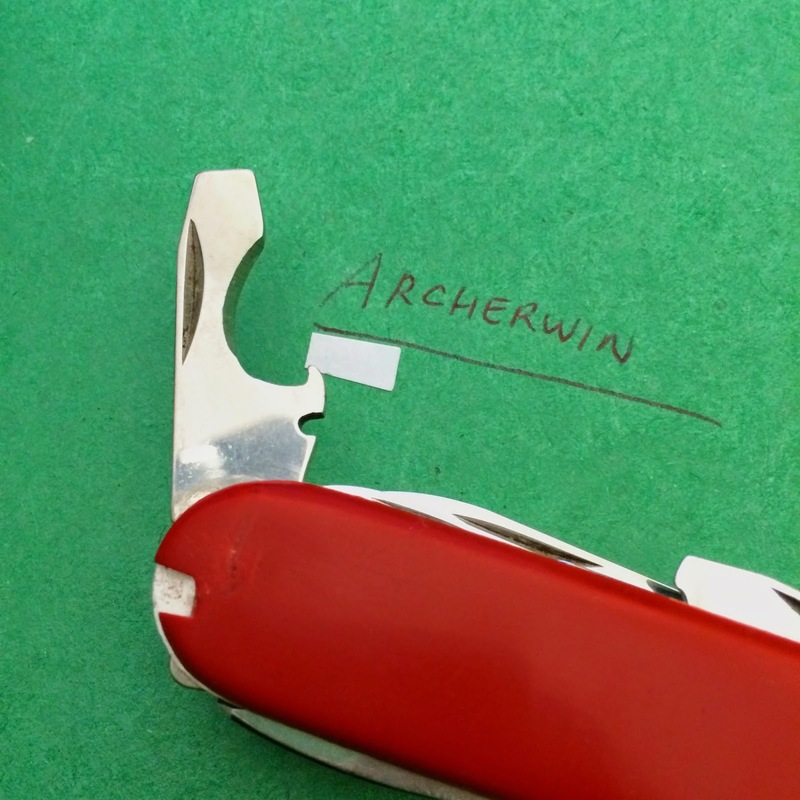 This is the second one I got apart from my modern Huntsman.